Call Go Far Guitar Today! 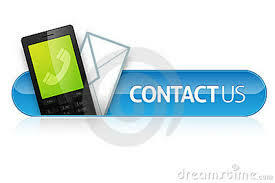 Call or text us anytime. We are easy to reach, and we would be happy to answer any of your questions. The Go Far Guitar School is located at 22028 Ventura Blvd., Suite 101, in Woodland Hills, in the San Fernando Valley, CA, 91364. We are a half of a block west of Topanga Canyon Blvd., on the south side of the street in the back of the building. Go Far Guitar is only a short drive from West Hills, Calabasas, Canoga Park, Winnetka, Chatsworth, Northridge, Reseda, Tarzana, Encino and Topanga. Fill in the form below with your comments or questions about our Music School and someone will contact you as soon as possible. Be sure and let us know what times are the best to call. Copyright 2011 The Go Far Guitar School. All rights reserved.